There’s a follow up on this painting started on saturday, kept working on it most of the day, sumday, of course that meant that I did not do any of the things I should normaly do to start the week…no grocery, no dishes, let everything there, just concerning myself with the important thing…painting. Voici la suite du tableau commencé samedi, continué toute la journée dimanche…donc pas fait grand chose pour préparer le début de la semaine…pas d’épicerie, pas de vaisselle, place à l’important…peindre. J’avoue que j’aime bien la tournure qu’il prend ce tableau, il me semble que tout tombe en place rapidement, tant mieux, je me demande même si je ne le terminerai pas là, tout simplement. À voir…. 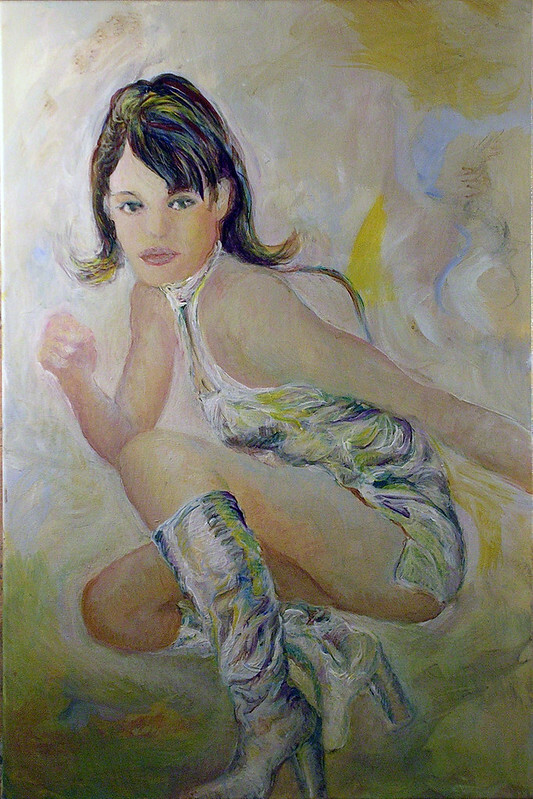 This entry was posted in art, Fashion and models, Painting and tagged 431, Austin Powers, Elizabeth Hurley by JMR-ART. Bookmark the permalink. J’ai 29A tant pis si ça ne se dit pas .